Jean-Paul Felley; Olivier Kaeser (Hg. ), Centre culturel suisse, Les presses du réel, Paris 2016, Format: 36 x 27,5 cm, 189 Seiten, 15 Vorzugsausgaben mit einem Aquarell. The Publication/Leporello is part of the exhibition "Der Rote Fries/The Red Frieze" presented at the Espace EDF Bazacle within the Toulouse international Art Festival (ed. : en. and fr. 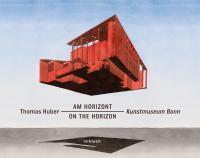 version), Thomas Huber (ed. of the german version), 2014. (Thomas Huber presents Benedikt Huber), Gerhard Theewen (ed. 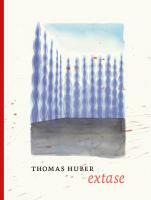 ), Salon Verlag, Cologne, 2010, 60 pages, colour cover by Thomas Huber, format: 21 x 29.5 cm. Number of copies: 200. Including a loose, signed, and numbered colour offset print (9.5 x 9.5 cm). (Four Paintings), un sur quatre / deux sur quatre / trois sur quatre / quatre sur quatre, one of four / two of four / three of four / four of four, eins von vier / zwei von vier / drei von vier / vier von vier, Banque Pictet (ed. ), Genf, 2011, [fr, en, de] 36 pages, 14 colour illustrations, format: 27 × 20 cm.